Staying with a local family is a great way to immerse oneself into American culture. This interaction with a family helps students communicate and practice their English in a more relaxed environment whilst also exposing themselves to new experiences - be it lifestyle, local food or simple day to day routines. Most homes are single family or 2 family homes. The latter is usually two floors with one home on one floor and one on the other. Students are placed in a single or twin room. Each room is furnished with a bed, desk, dresser and closet, while some rooms have TVs and other amenities. It is important that rooms and living areas are kept neat and tidy. Students also have access to a shared bathroom. Host families can be located in the residential neighborhoods in the southwestern part of San Francisco, but most are located in the adjacent towns of Daly City, South San Francisco, and Pacifica. Some of the San Francisco neighborhoods where host families live include: Glen Park, Mission Terrace, Excelsior, Bernal Heights, Portola, the Outer Mission, the Outer Richmond, and the Outer Sunset. Host families are located either in the city limits of San Francisco or in the adjacent towns of Daly City and South San Francisco. 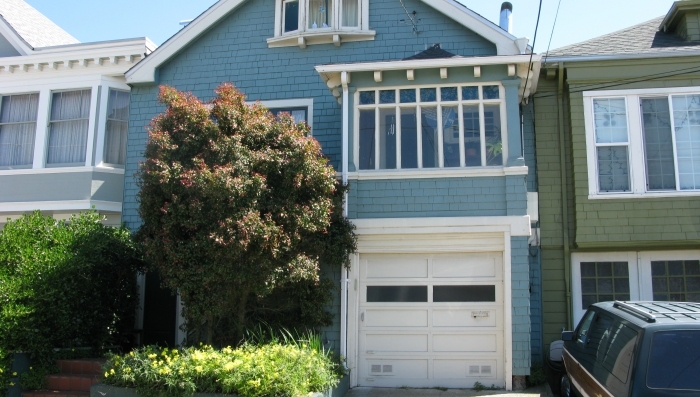 Some of the typical neighborhoods where host families live are: Bernal Heights, Glen Park, Inner and Outer Richmond, Inner and Outer Sunset, St. Francis Wood, Excelsior, Castro and Mission. The typical commute from a homestay to school is 45 - 60 minutes by public transportation. San Francisco’s transport system is run by MUNI, which operates in San Francisco only, and BART, which is regional. If students are staying in South San Francisco, Daly City, or Pacifica they will need to pay regular BART fares as well as fares for other local buses. There isn’t a monthly BART pass available for outside San Francisco. Students should expect to pay between $60-$200/month for public transit (price depends on where host family is located; students may or may not qualify for the monthly discounted transit pass). In many host family locations, public transportation may not be available after 8 or 9 pm.